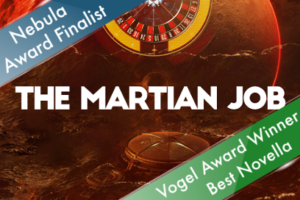 We hope you enjoy playing The Martian Job. We encourage you to tell your friends about it, and recommend the game on Facebook, Twitter, Tumblr, and other sites. Don’t forget: our initial download rate determines our ranking on the App Store. The more times you download in the first week, the better our games will rank.